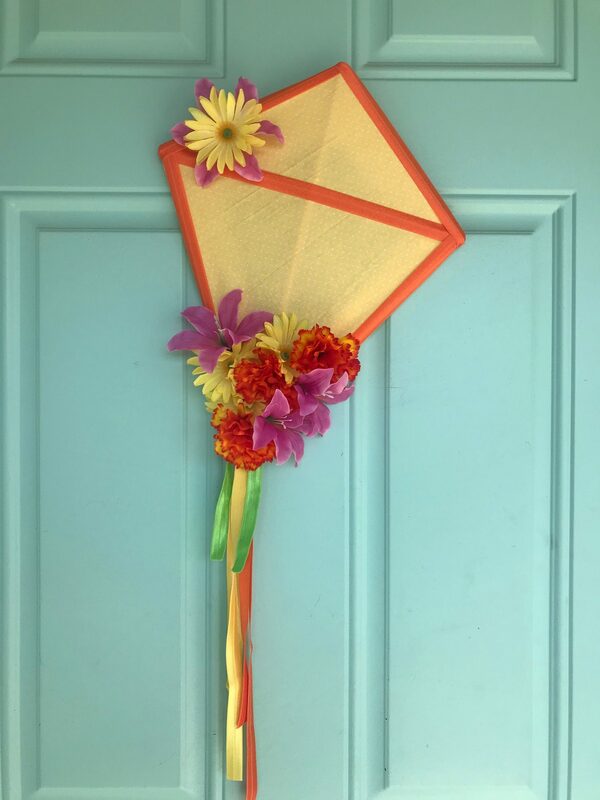 This Easy DIY Spring Kite Wreath is the perfect addition to any entryway! Recalling childhood memories of kite flying is sure to make everyone feel welcome! Nothing signals the beginning of warmer like the flying of a kite does! Flying a kite is something that everyone enjoys no matter how young or old. There’s something about flying a kite that turns a boring day around! 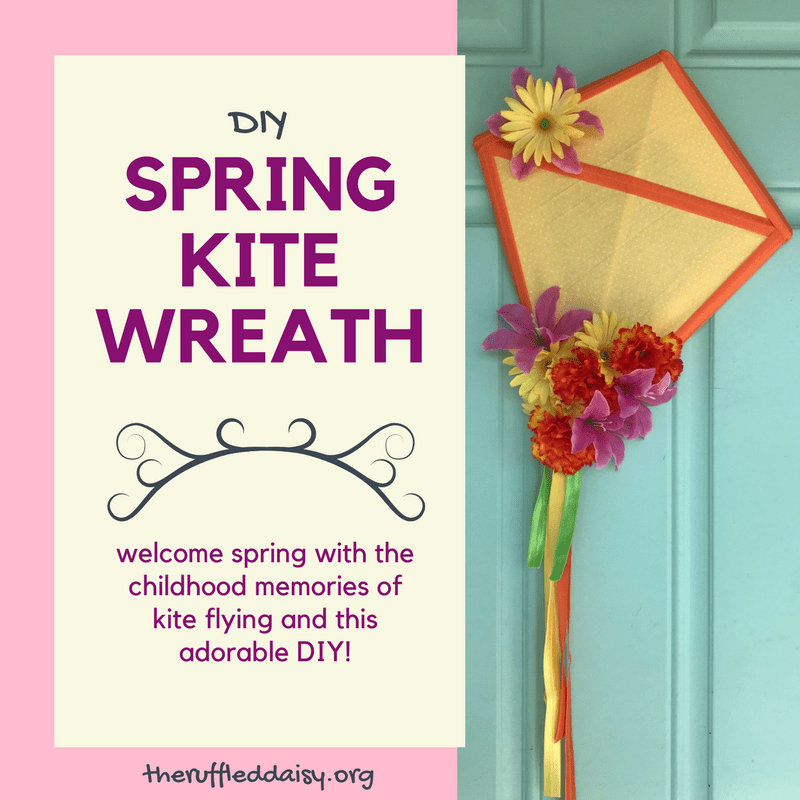 This Easy DIY Spring Kite Wreath is the perfect addition to any doorway welcoming the return of warmer weather! 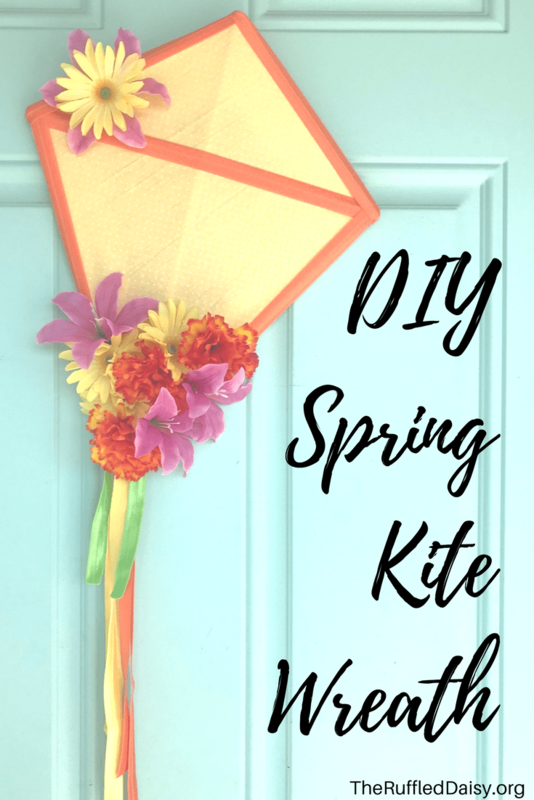 This Easy DIY Spring Kite Wreath will have you flying in no time!! 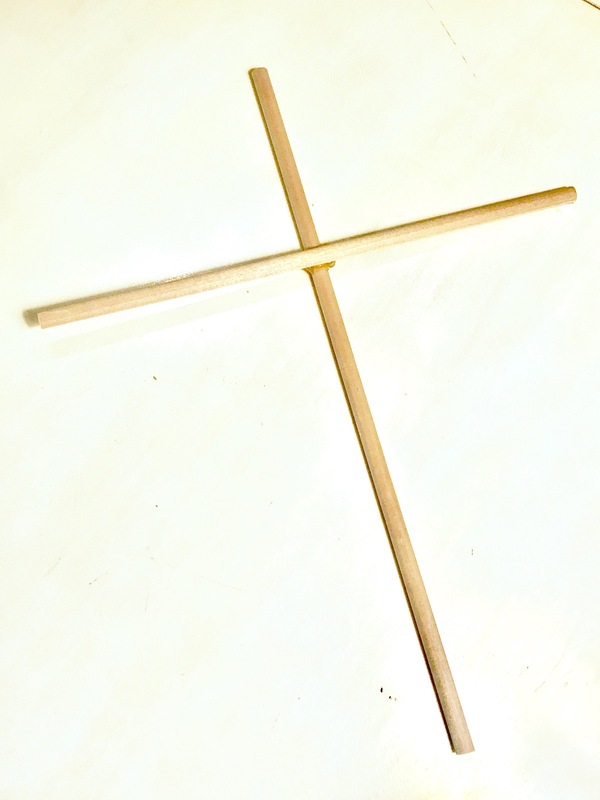 I cut my dowel rod into two pieces – 19″ and 15″. 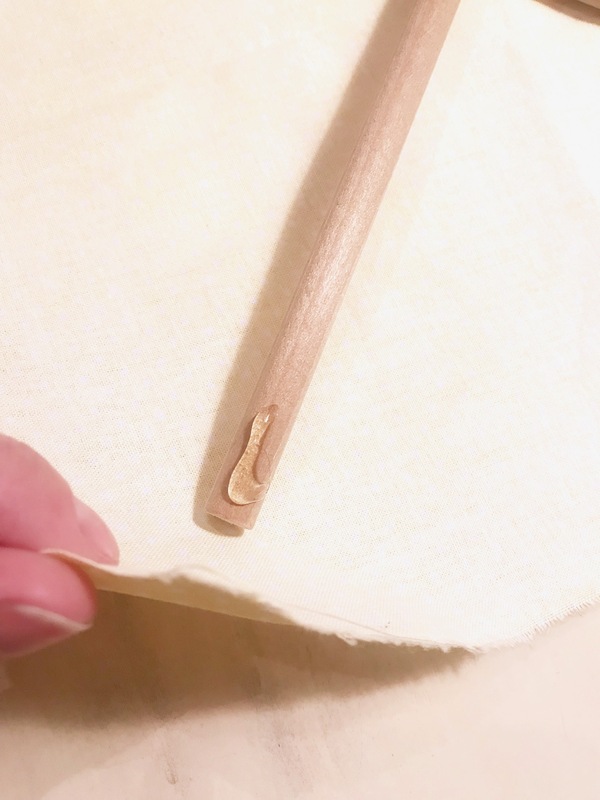 Glue them together with a decent amount of hot glue and let dry completely. The next step is just eyeballing it. 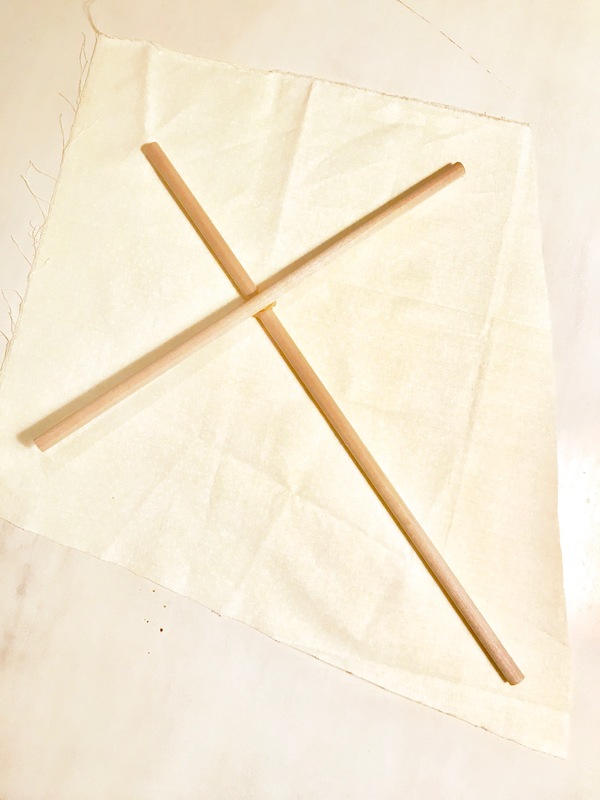 I laid my fabric scrap face down and just cut around the edges of the dowel rods leaving enough excess to glue to the rods. When you’re done gluing, this is what it will look like from the back….. 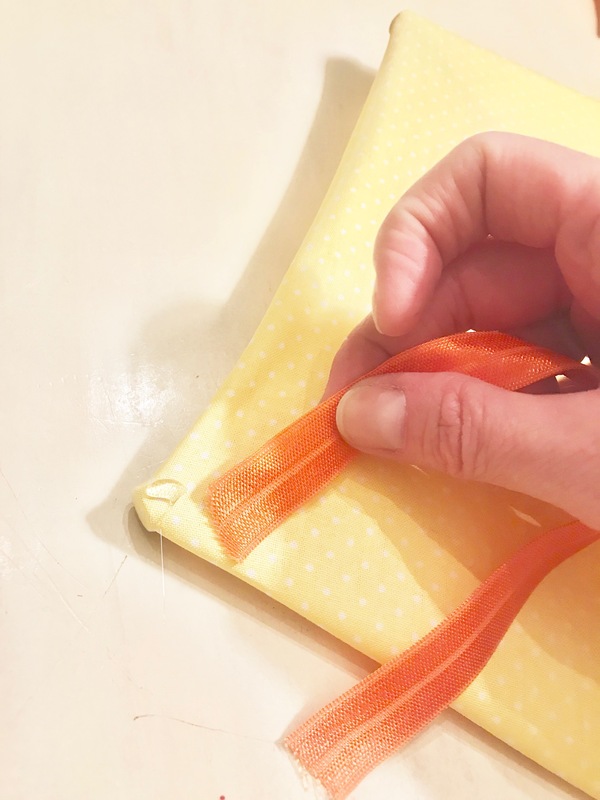 Trim any excess material that hangs over that you can see from the front. 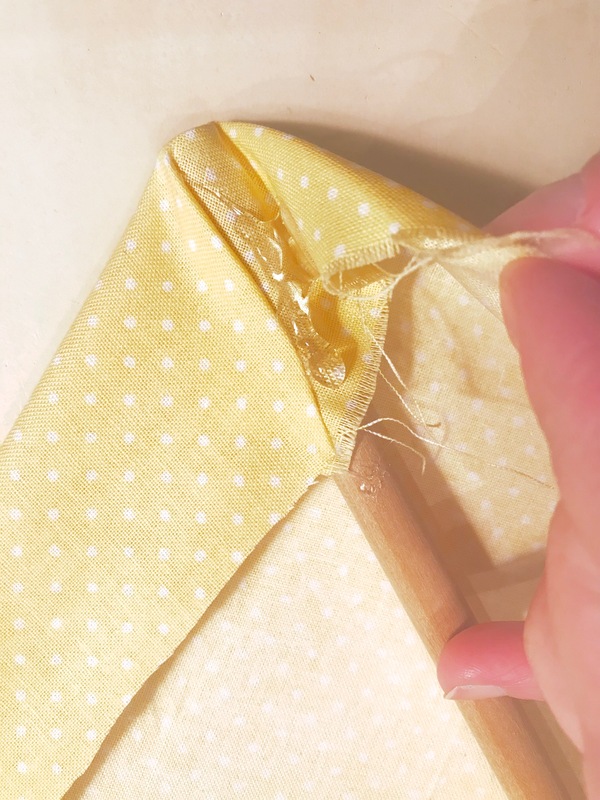 With your coordinating ribbon, glue along the edges of the kite and through the middle intersection. It’s kinda looking like a kite now isn’t it?! I love it! Hot glue some flowers to the base and one at the top and you’re ready to hang it! This is seriously going to be the easiest DIY ever! I did it while cooking dinner and it was ready to hang in less than 20 minutes! Hand it on the door with some of THESE command hooks and you’ll be the enjoy of all your neighbors. No one ever said DIY’ing had to be difficult! Quick projects like these are my favorite because it’s proof that ANYONE can create beauty in their homes! 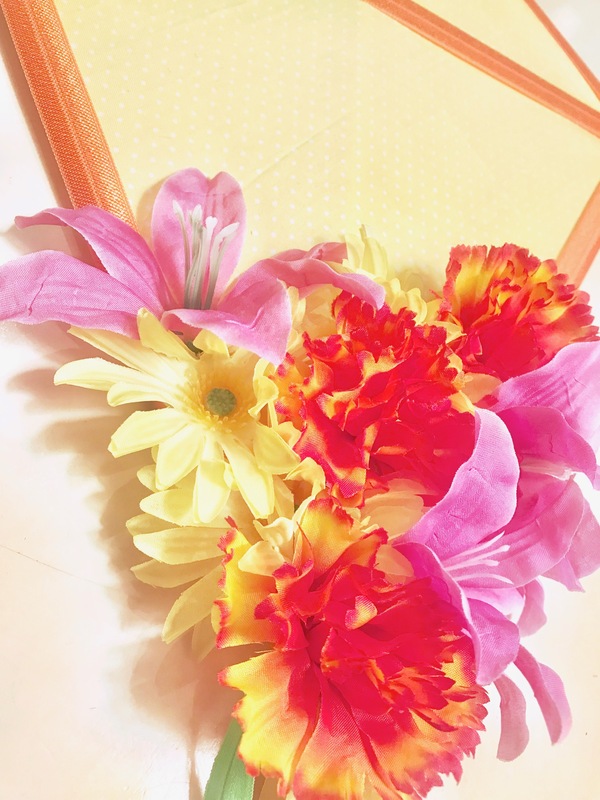 PIN this Easy DIY Spring Kite Wreath and share it with all of your friends! 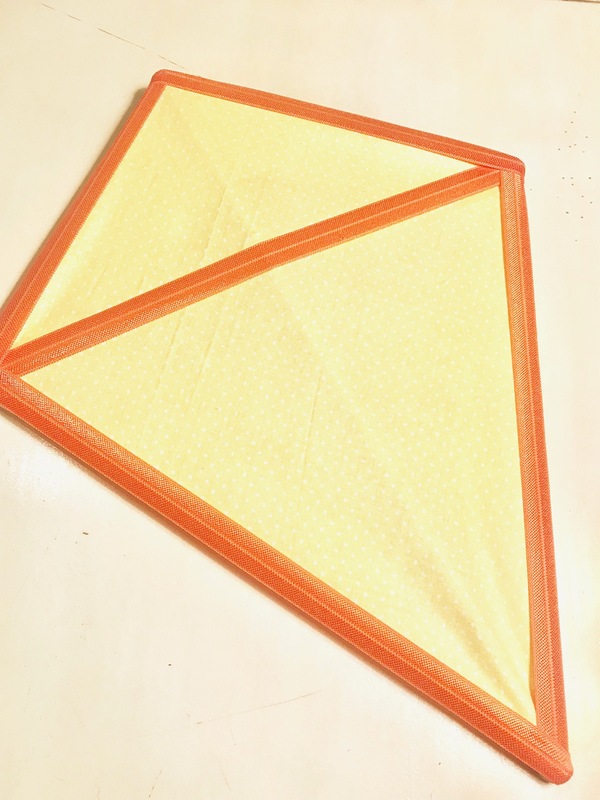 Do you have memories of kite flying when you were a kid OR do you like creating memories with your own family? What other spring activity do you enjoy doing with your kiddos? This is adorable! 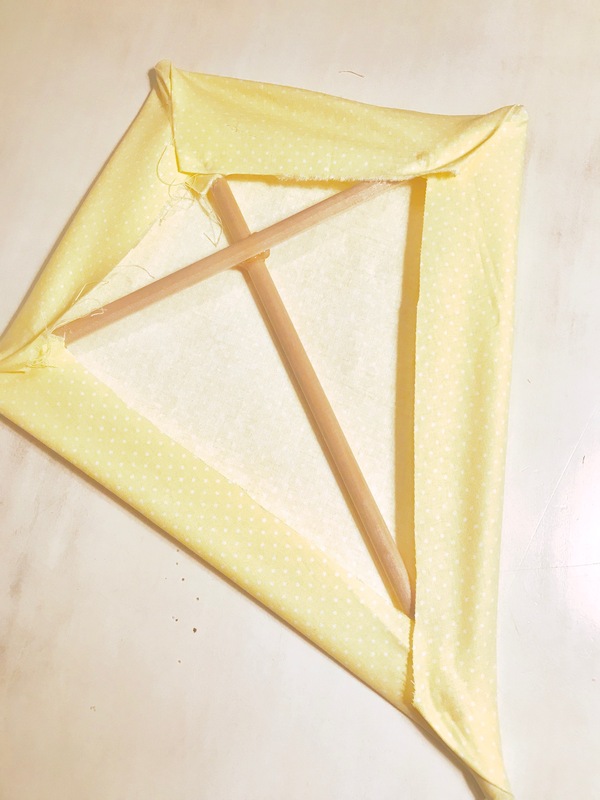 I would have never thought to make a DIY kite. This is awesome! This is such a nice change from the traditional door decor. So cute! Super cute!! I’m not a big DIYer, but I have a friend who would love to make this so I’ll have to send it her way. What a fun and easy craft! I love hanging wreaths on my door for each season/holiday. This is a really cute idea! Would be cute decor for a kids room too!